How do I meet expats in Buenos Aires? Here are the top ways to meet other expats in Buenos Aires according to 27 Americans living in the city. BAIN (Buenos Aires International Newcomers) www.baindowntown.com: this website has many events for expats in BA including playgroups, book exchanges, dinners, ladies happy hours, coffee, lunches and more. Also, staying connected online to different groups, communities and websites allows you to find out about other events including frequent entrepreneur and startup meetings and happy hours (probably the fastest growing expat community in BA!) or American holiday events (such as July 4th, Halloween and Thanksgiving). Joining a club or going to classes is a great way to meet other expats in Buenos Aires. Several of the Americans (mainly men) interviewed had met expat (and even local) friends through different sports clubs or groups in Buenos Aires, including BAFA (Buenos Aires Fútbol Amigos), the “Shankees” baseball team, and even an American football club. Running groups is another way to meet expats and locals alike. Other Americans met their foreign friends through activities such as language classes and exchanges (conversationexchange.com, Mundo Lingo, Spanglish, LV Conversation Night, to name a few), TEFL programs, theater groups, volunteering, or through a social club like Oasis House. Several of the Americans I interviewed had at some point during their time in Buenos Aires lived in one of the “international” houses. These residences are well-located large homes that rent bedrooms to foreigners. The rest of the home is a shared living space, and considering these houses are usually filled with young, social foreigners, they’re great places to meet new people. In fact, this is also a good way to meet Argentines from other provinces or Spanish-speakers from other countries, not just English-speaking foreigners, according to the Americans interviewed. Examples of international houses that some of the Americans I interviewed have lived in include Casa Peru and Salta House. Aside from these international houses, it’s common that expats end up living together in shared apartments through posts for room shares on craigslist.org or baexpats.org (among other websites) or through word of mouth. Many of the Americans interviewed had shared an apartment with another expat at some point during their time in Buenos Aires. Because of the limited job opportunities for English-speakers in Buenos Aires (most work online, usually for technology start ups, or in the English teaching or tourism fields), it’s not uncommon for expats in Buenos Aires to meet each other on the job. Many claimed to work with other foreigners. For example, one American said she worked as a Headhunter for an American company out of an office in Buenos Aires that she shared with several American co-workers. In fact, several of the Americans in Buenos Aires have both an American employer and American co-workers. Others have British and European colleagues or employers. This was a common theme, and many claimed to have made foreign friends while working at English language institutes, translation companies (Trusted Translations, for example), tech start ups or technology companies, nanny agencies and more. 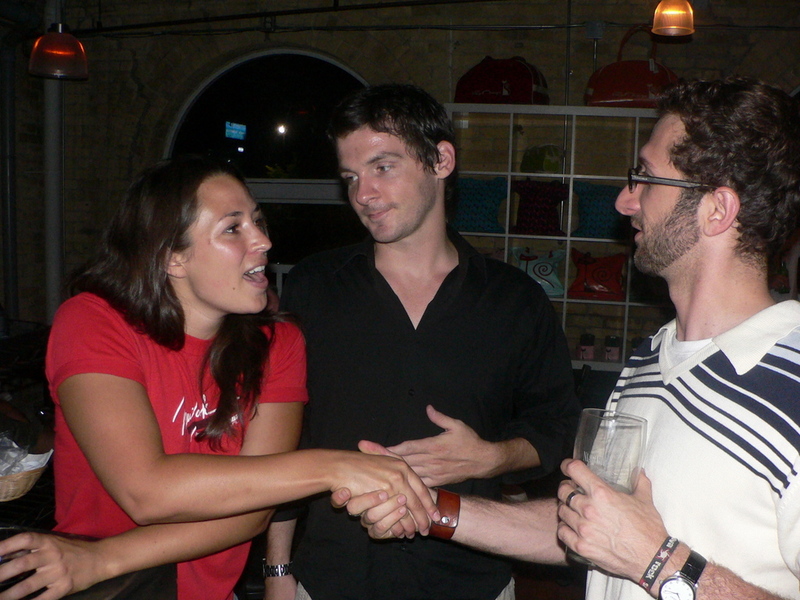 How do you meet other expats in your global city? This entry was posted in Expats in Buenos Aires, Living in Buenos Aires, Top 5 & 10 lists and tagged BA expats, expat events in Buenos Aires, expat websites Buenos Aires, meeting expats in Buenos Aires, online groups for expats in Buenos Aires, where to meet English speakers in Buenos Aires by Emily Miller. Bookmark the permalink. Do you know of any resources for expats living outside of BA? I’m up in Corrientes province, and would love to meet some other expats! Hope it helps! good luck!